And so on…Don’t get me wrong–these goals are fantastic! Many people are goal-oriented–put a list in front of them and they want to reach that goal, check off the boxes, and have something to achieve on their horizon. Oh, and imagine if they achieve it! It feels wonderful! What if the list feels overwhelming? Too much to do, not sure what to do, not sure if it can be implemented…Year after year, resolutions and goals are made with truly great intentions, only to be abandoned after the first month or so. 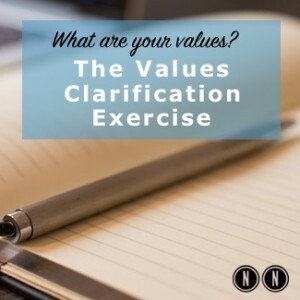 There is one component that is often overlooked when it comes to making a resolutions/goals list that stick: clarifying what your values are. So what exactly are values? Your values are a vital part of who you are–right now. Your values aren’t what you think you should be–then they wouldn’t feel authentic or congruent with who you are. Your values act as a compass for your life for things such as how you relate to others, how you perceive things, and how you act. When you are aligned with your values, life is more fulfilling and purposeful. When your resolutions/goals are aligned with your values (and your values are aligned with your authentic self), you will be better prepared to meet or exceed the attainment of your resolutions and goals. One way to come up with your own, authentic list of values is to think about some of your peak experiences–those times when you were absolutely lit up about an achievement, a moment, an experience–anything that lit you up. Think back on those times when you were in flow–when you lost track of time. Think back on those moments that were poignant for you or exceptionally rewarding. What values were being expressed at that time? For example, one of my clients remembered that she loved to go to museums but hadn’t in a long time because there was no one to go with her. What was it about museum trips that she loved, I asked her. “I love learning about new things if I’m in a natural history museum. Also, I feel inspired by beauty if I’m in an art museum. Oh, and I love the feeling of being connected to nature when I’m in a botanical garden!” In her response she clarified that her values were learning, beauty, and nature. What else did she like about going to museums? “I like going with friends or family.” Another value to add to her list then was was her value of connection. When she’s writing down her resolutions, she can check her list of values (and values can change over time so this is a good exercise to do each year or two) and see if the lists are congruent with one another. What’s missing in her life might be a good question to ask when she first sits down to list her New Year’s resolutions. Let’s say she wants to have more fun. 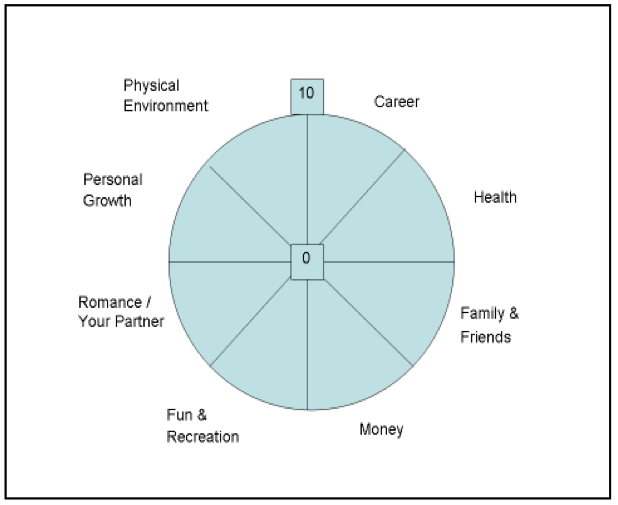 She’s done the Wheel of Life Exercise (for an in-depth look at the Wheel of Life Coaching exercise, purchase the e-book here: The Wheel of Life–Be Your Own Life Coach and Design Your Own Life) and the category for fun and recreation she has ranked as a 4 (out of a possible 10–not great!). She wants to put some more attention on this area of her life. This can mean going to more museums and trying to recruit others to go with her, joining a group of like-minded people so she can have more connection and fun in her life, taking up gardening or painting, etc. What’s fun for her? What makes her heart sing and lights her up? What lights you up? You can find some of your values within the answer to this question. Next, how can you align your resolutions with your values? Here’s another life coaching tip to amp up your New Year’s resolutions so they’ll have a much better chance of succeeding. 2. Align your New Year’s resolutions and goals with the Wheel of Life. Rank each area of the Wheel of Life (see above or use your own areas that you resonate with) from 0 to 10 (0 being terrible to 10 being terrific!). 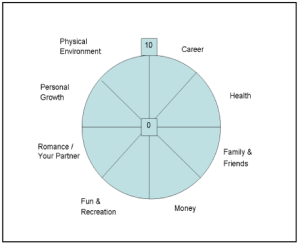 Which areas need your love and attention? Focus your goals on these areas. 3. Fast forward to the end of your life and visualize as your 95-year-old self, what you have accomplished. 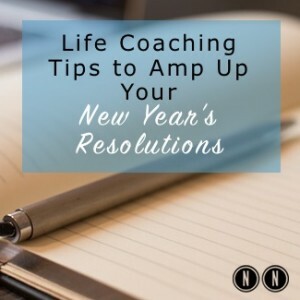 So, there you have it: 3 life coaching tips to help you amp up your New Year’s resolutions. Here’s to you and your success! If you know someone who can benefit from this article or if you like this article please like or share this on FB, tweet it, link to this, and/or leave a comment. Thanks! Hi there! I’m Nicole Nenninger. My passion is to help people create extraordinary lives and to cultivate extraordinary relationships (because why settle for ordinary?). I believe the best way to learn in this world is through relationships. The first relationship to heal if you want to have the best chance at success in any area of your life, is with yourself.